Dishes made with zucchini (also called courgette) are popular in Georgia. 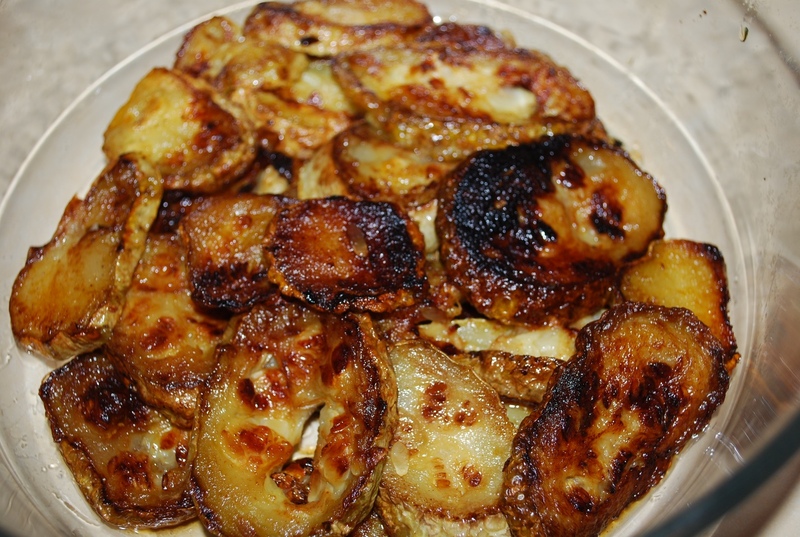 There are many variations and in this family recipe we show how to make fried zucchini with a spicy sauce flavored with Ajika (Georgian: აჯიკა). 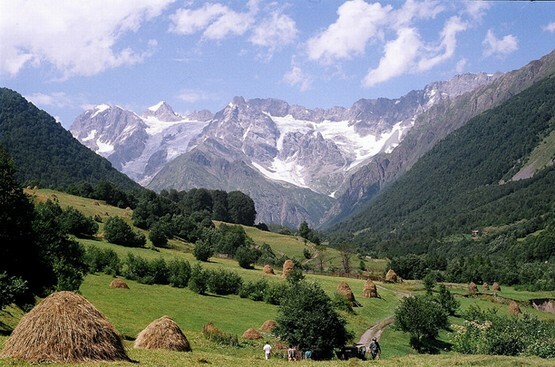 Ajika is a hot, spicy paste used to flavor food mainly in Samegrelo and Abkhazia. Made, with hot red peppers, garlic, herbs and spices it resembles Italian red pesto. Ingredients: 2 large Zucchini, 4-5 cloves of garlic, 30 grams of fresh green coriander, 200 grams of mayonnaise, 1 tbs of ajika (recipe here), 1 tsp of hot red pepper, 7-8 tbs of oil, and salt (not too much as ajika is quite salty). 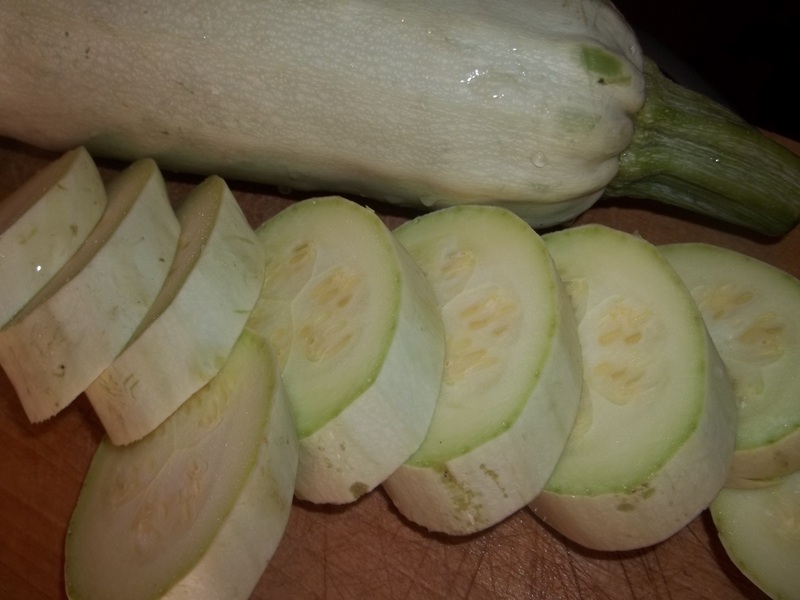 Preparation: Slice the zucchini (at least 1 cm thick) and add the slices to a pan containing oil (depending on the size of pan used it may be necessary to repeat the process). 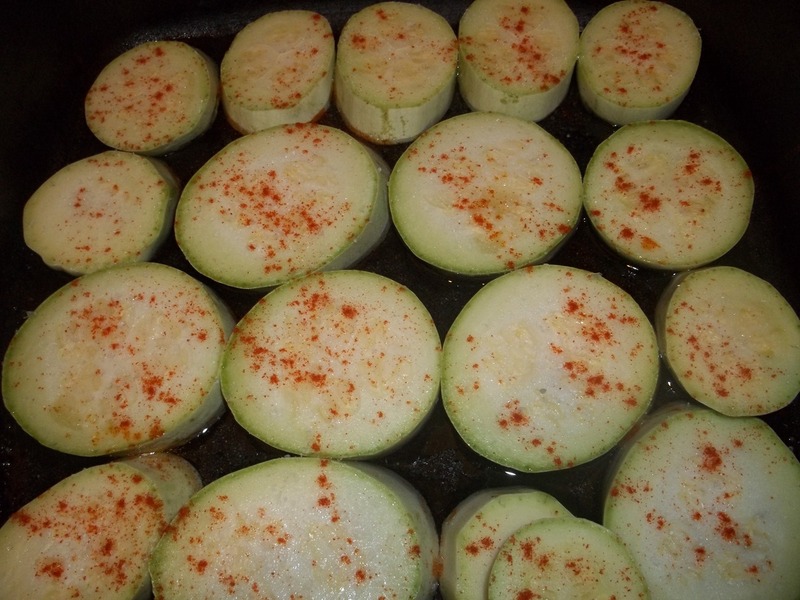 Sprinkle the zucchini slices with hot red pepper. Cover and fry on a medium heat. When one side is done, turn over and continue to fry (uncovered) until cooked. Repeat until of all the zucchini slices have been fried. Add the fried zucchini to a bowl. 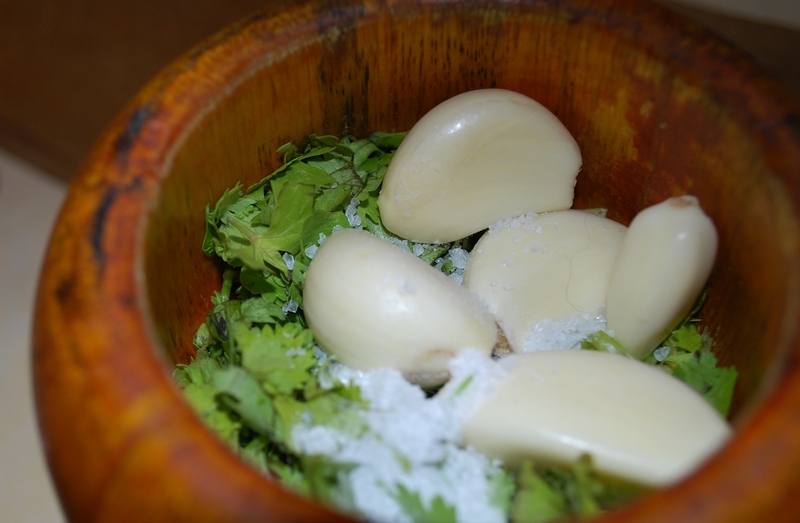 Crush the green coriander, garlic cloves and salt together. Add the mayonnaise, ajika, red pepper and crushed green coriander/garlic to a mixing bowl. Mix thoroughly. 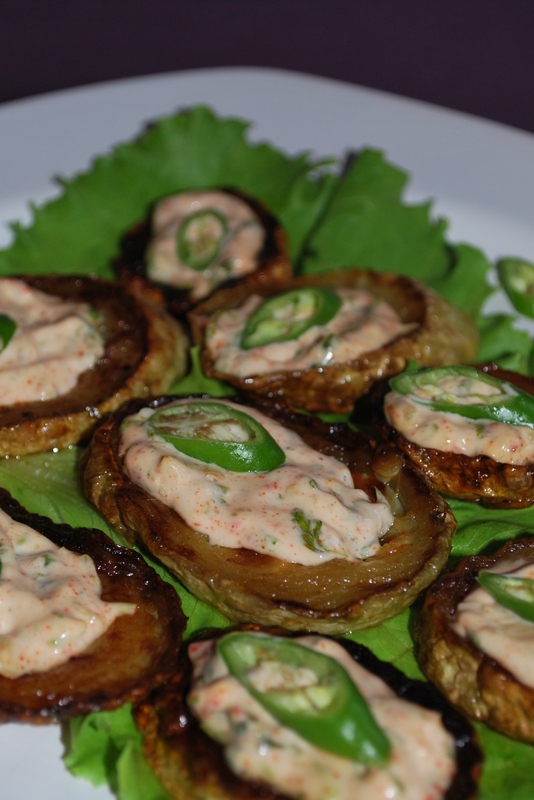 Serving: Add the spicy sauce to the fried zucchini and serve (warm or cold). 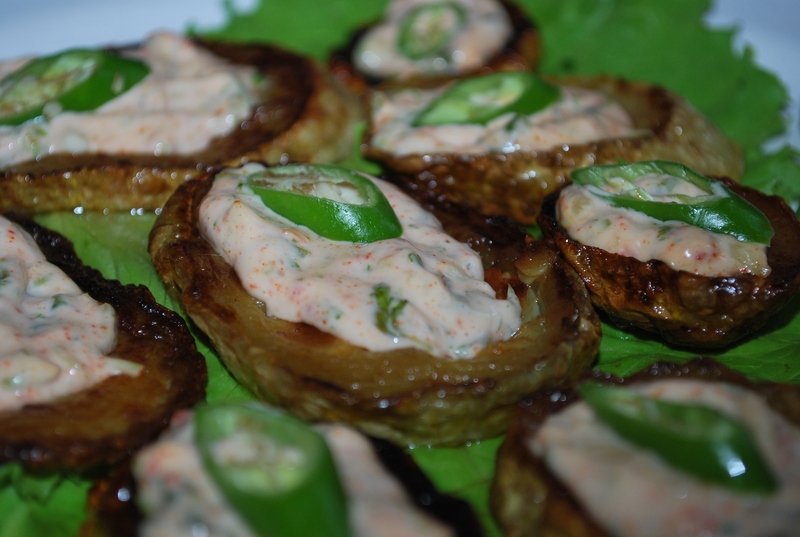 We garnished ours with thinly sliced hot green peppers. Enjoy your Zucchini with a Spicy Sauce!